Just as well Jenny is spurring me on weekly to do a blog post, and she is the one going through the extreme rain event in Townsville. My best wishes to everyone affected by the flooding. May the sun shine on you and the spirit of community lift your hearts. 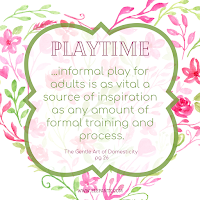 It is nice to have a theme and this weeks theme is Playtime, or informal play - something I always struggle with. I always want what I make to have a purpose, to be useful, even before re-using and re-purposing became a "thing" I was doing it! In journal writing, when told to just write without thinking, I have a blockage. When told to just paint without a plan, all I can think about is the waste of the paint and the paper. I think frugality holds me back a bit from spontaneity. I love shows like Escape to the Country or Songs of Praise, and the James Herriot series. I really enjoy seeing the English countryside, so a trip to the English countryside is on my one day bucket list. Then again, armchair travelling is suiting me quite well - the weather is climate controlled! I am a sucker for stained glass, and even tried my hand at it for a couple of years, and I must say thoroughly enjoyed it. Last year I had an amazing trip through Spain and France with my older daughter and her husband. 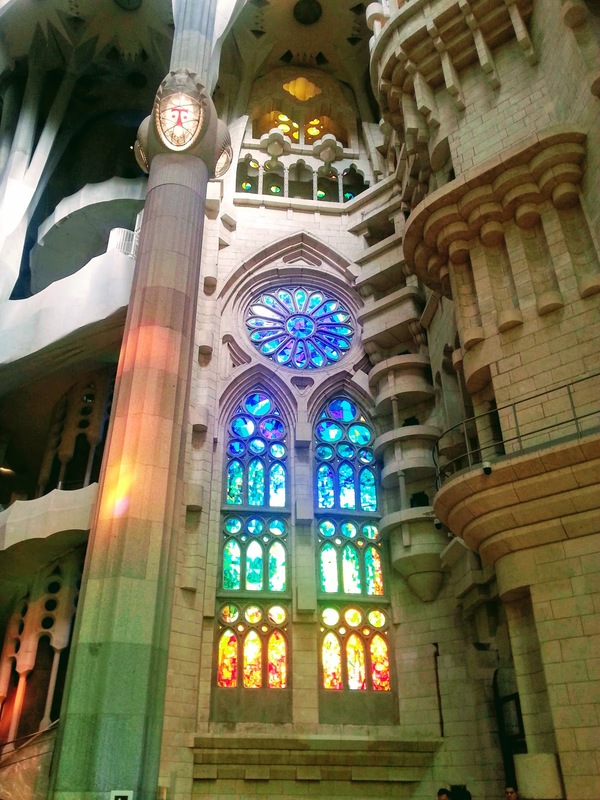 It would be hard to top the stained glass I saw in Sagrada Familia in Barcelona. 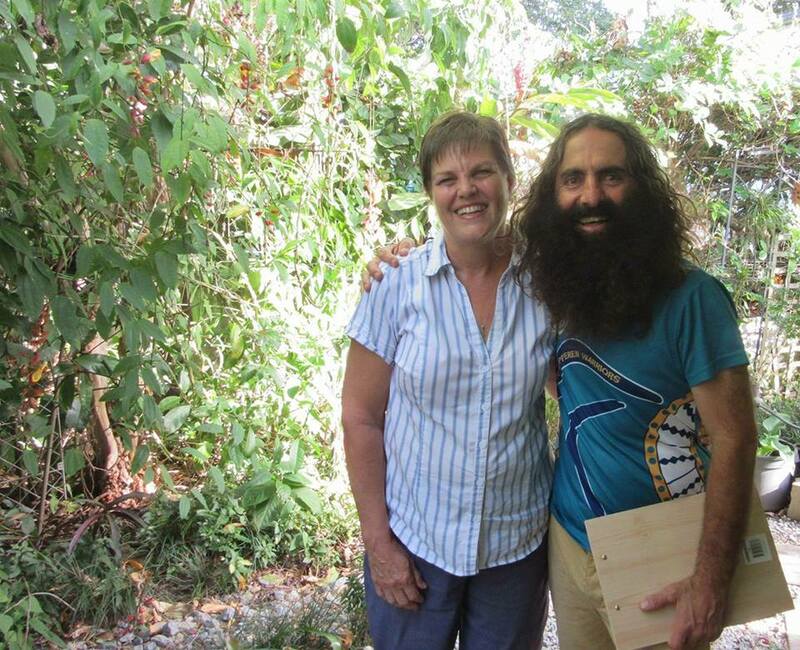 Gardening and cooking shows are also a big favorite, and I was even blessed with a visit from Costa to my very own garden when we had a local garden competition! I guess what I like to watch is things I could imagine myself doing. 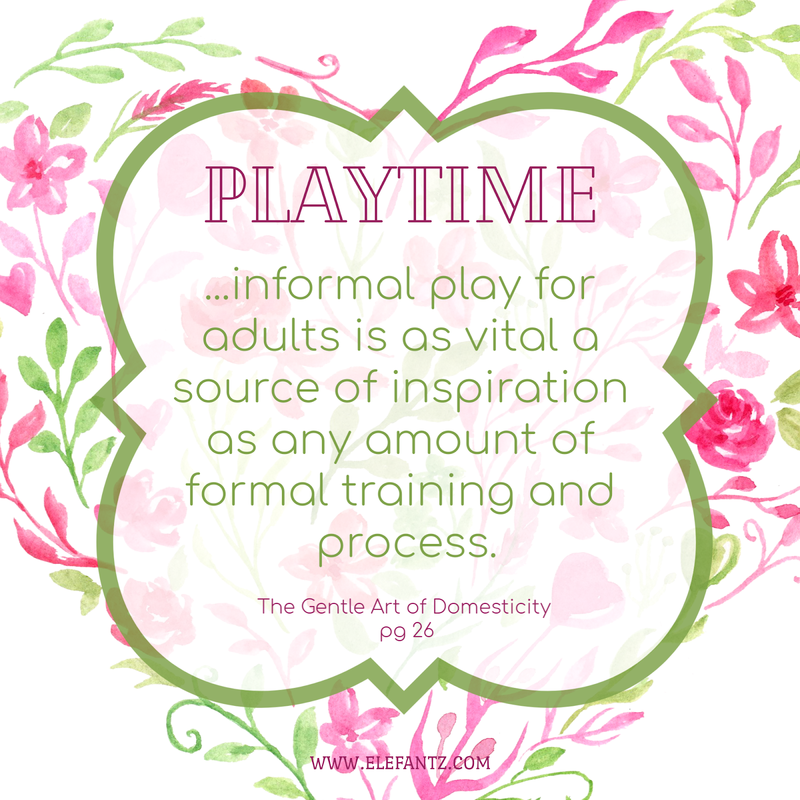 Really it all boils down to living the gentle domestic life the best way we know how to. It was! I felt like a real groupie! You just reminded me about Escape To the Country. Before I visited the UK 3 and a half years ago I drooled over the show with the beautiful cottages and countryside. I still do LOL. Armchair travel is quite lovely too. I presume it lived up to your expectations? I stopped off in London years ago and did a whirlwind three day tour, but have yet to see the English countryside. I' totally with you about armchair travel and Escape to the Country! Oh, and Costa...love his gardening on telly. Lucky you! I am looking forward to tonight's show - there is certainly a lot of hype about it all. take care, and stay out of the mud! I enjoy Escape to the Country but the interior decoration of English homes often leaves my head spinning. I love English style countryside. "Plotted and pieced" fields always get my camera snapping, whether here or there. Yes I am a bit of a minimalist, and cannot understand how people actually like beams over their heads! Those fields are like quilts aren't they? what a good description of stained glass. I also enjoy 'Escape to the Country'. I love seeing the beautiful countryside with sheep, etc. and the quaint cottages, non-pretentious. So different from 'House Hunters'. How neat that you had Costa visit your gardens. I've seen his gardening shows as well as others that inspire me. Watching that show is a great way to relax in the evenings. It really was a surreal experience! he is such a gem. That picture of the stained glass is gorgeous! Thanks for sharing it. Frugality holds me back, too! I love armchair traveling, but also love day trips, too. And of course, gardening and stained glass. How wonderful to have a gardening celebrity visit! I love hearing about all your adventures, and you get lots of visitors to your garden, I love to share my garden with others.